New Muaythai style Tiger Paw lotion is an ancient holistic herbal joint & muscle pain relief formula with the latest Thai Zingiber cassumunar essential distillate extract. Also known as Plai, sports doctors worldwide use this natural pain relieving herb root to treat sprains, strains, bruises, muscle injuries and torn ligaments. Tried, tested and trusted, Tiger Paw Plai Lotion is regarded by Thai massage therapists as one of those essential herbal oils and raw root herb compounds to have in their kit to combat joint and muscle problems be it rheumatic, arthritic pain, or muscle strains and pains. Muscle aches will never get in the way of your workout with Tiger Paw as part of your fitness regime! Active lifestyles can sometimes mean muscle aches and strains. 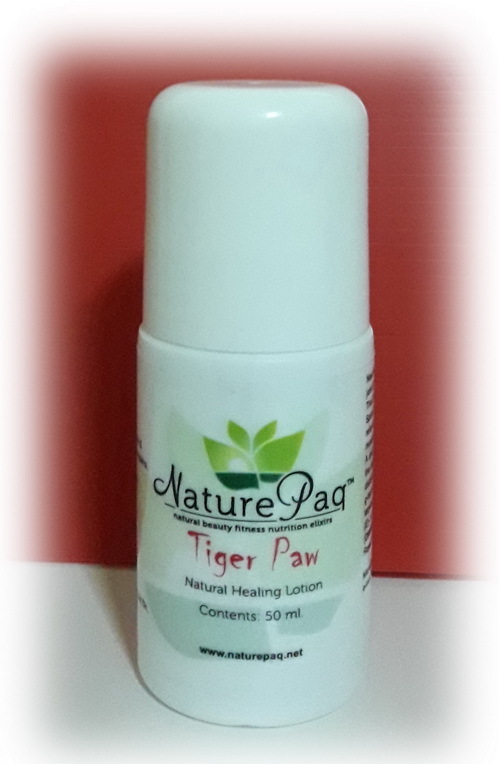 Tiger Paw’s research and development team has led to this latest unique new formulation that relieves sporting related muscle aches and pains for fast on-the-go releif in a handy effective soothing pain lotion for home, work or play. Now available in a designer style travelers 30 ml pump! Effectively treats sprains, strains, bruises & muscle injuries. rheumatism, inflammation stiffness & cramps!